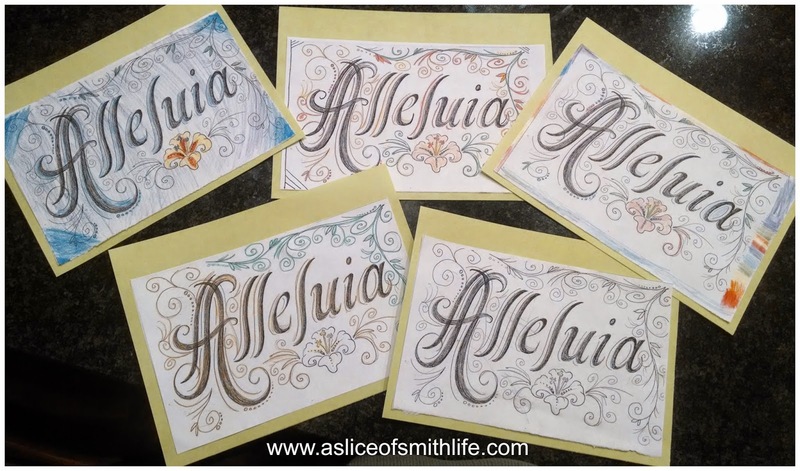 A Slice of Smith Life: 7 Quick Takes: 7 Ways to Bury the "ALLELUIA"
7 Quick Takes: 7 Ways to Bury the "ALLELUIA"
Our family has gradually added new Lenten traditions since my oldest was born over 14 years ago and it is fascinating to me to learn how other families celebrate the Church's liturgical calendar and seasons. 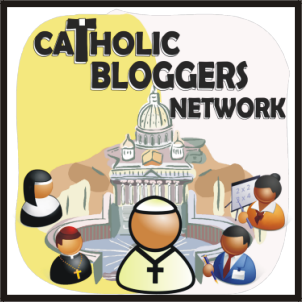 I get so many ideas and so much inspiration from reading how other bloggers and friends walk through the Lenten season. On my last post about how our family celebrated Fat Tuesday and started Lent on Ash Wednesday, I commented that I would like to start a new Lenten tradition of "burying" the "ALLELUIA". 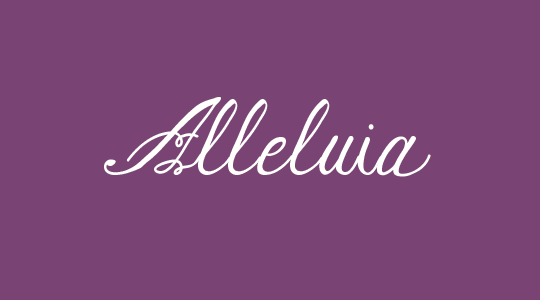 This tradition is a tangible way to remind our families that the "ALLELUIA" is not sung at Mass in the Catholic Church during Lent. Why is that? Go HERE for a brief explanation. Martianne at Training Happy Hearts left a comment on my post with how she buries her "ALLELUIAs" and she encouraged me and said that it wasn't too late to get those ALLELUIAs buried! 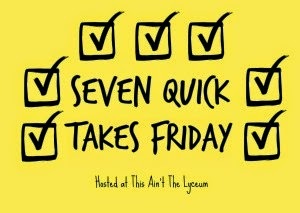 So this week's 7 Quick Takes hosted by Kelly at This Ain't The Lyceum is 7 Ways to "bury" the "ALLELUIA" in case this tradition is new to you and you want to start it this year. Lent has begun, but it's not too late to start this tradition! Maritanne's post HERE inspired me to start this tradition today so of course I've added it to the Quick Takes list. 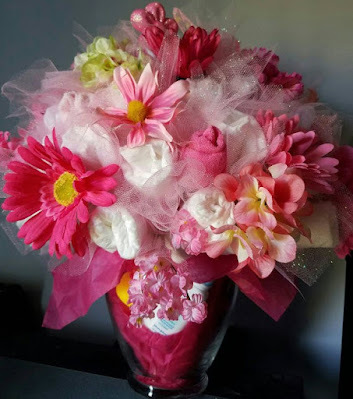 :) I love the colors and creativity of her children's pictures, don't you? 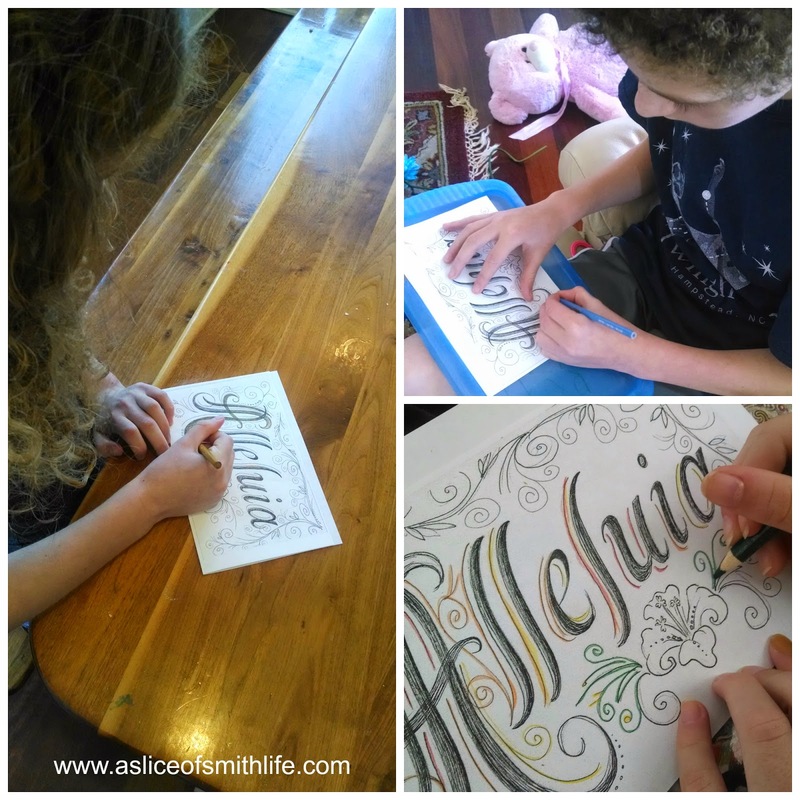 Nicole's post HERE tells how she uses gold painted letters and a box to bury her ALLELUIA with her sweet family. I love this idea too and maybe one year, I'll get some wooden letters and a box. Lacy's post HERE has a link to make this beautiful banner and also how to make the golden wooden letters and a box similar to Nichole's idea. I hope to hang our ALLELUIA signs on our mantle as well at Easter. 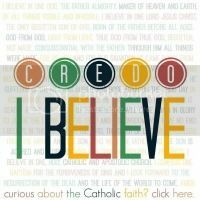 Joe's post HERE has a mini lesson about why we "bury" the this word with great ideas and resources. Sarah's post HERE shows how her kids made beautiful paintings with watercolors and their hiding place where they buried their artwork is perfect! 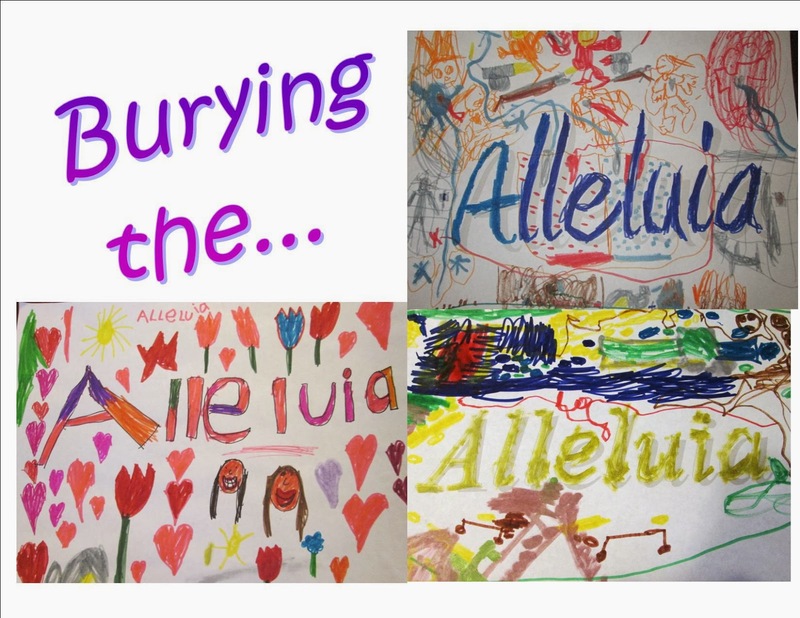 Holly's post HERE tells how she buries the "ALLELUIA" along with their family's Lenten sacrifices in a purple bag and it will come out at Easter when we can sing joyfully, "Alleluia! He is Risen!" 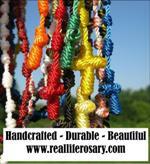 I found many of the ideas for my post at "Burying Alleluia" Pinterest board. So does your family do this tradition at the beginning of Lent? If so, I would love to hear about it in the comments! I think 1 and 4 are my fave. 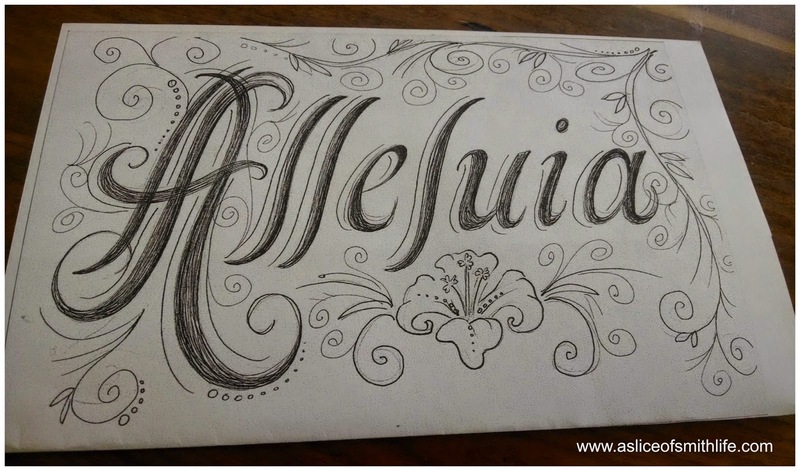 I remember Lacy's post on burying the Alleluia from years ago before I evens tarted blogging! We bought wooden letters at Michael's when the kids were little that we painted and put on the mantle after Christmas...on Ash Wed, we just take them down and put them in their box........ ...take 'em out again after the Easter vigil....great ideas. 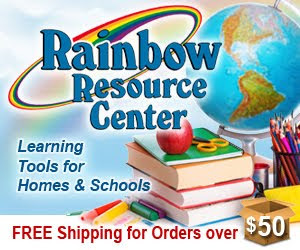 Your kids did a lovely job on the coloring...the pic of your littlest sweetie is adorable too! So glad my comment inspired you to enjoy this tradition. 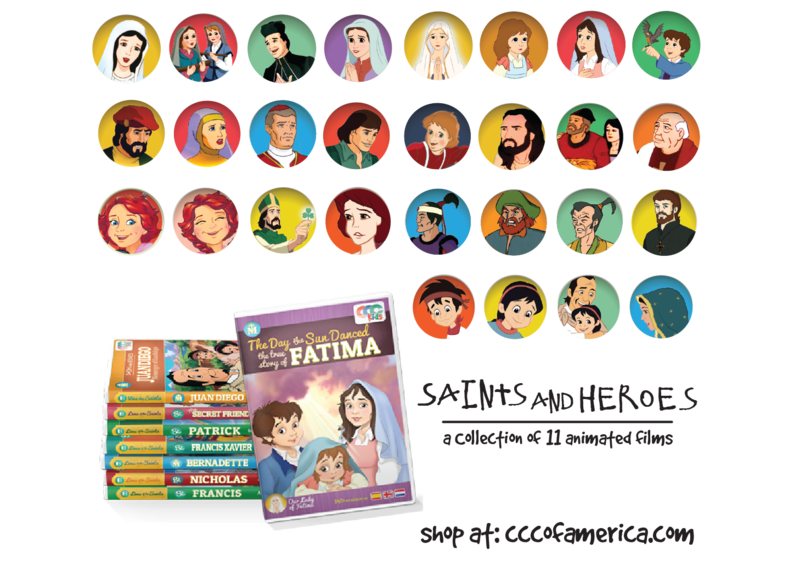 Thank you for including a link to my blog, but, more so, for sharing so many ways to enjoy this tradition so others can be inspired! 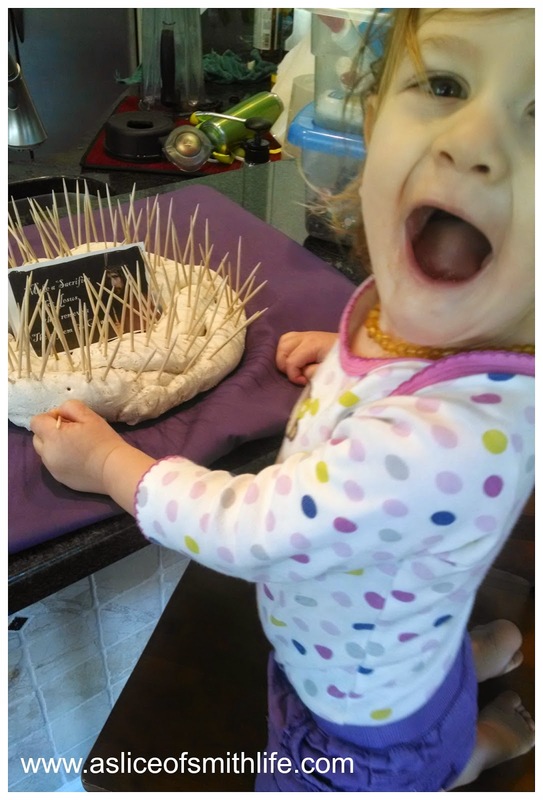 7 Quick Takes: Snow, Swimming, and Sickness! Wordless Wednesday: Park + Sun = Fun!